Online reservations now open for the 2019 boating season! Experience the Beauty of Shadow Mountain and Grand Lake! Distant snow-capped mountains with evergreen forests dipping to the shoreline provide the backdrop for two of the most scenic high mountain lakes in Colorado: Grand Lake and Shadow Mountain Lake. Become “one” with the scenic beauty – enjoy a boating experience with Trail Ridge Marina. 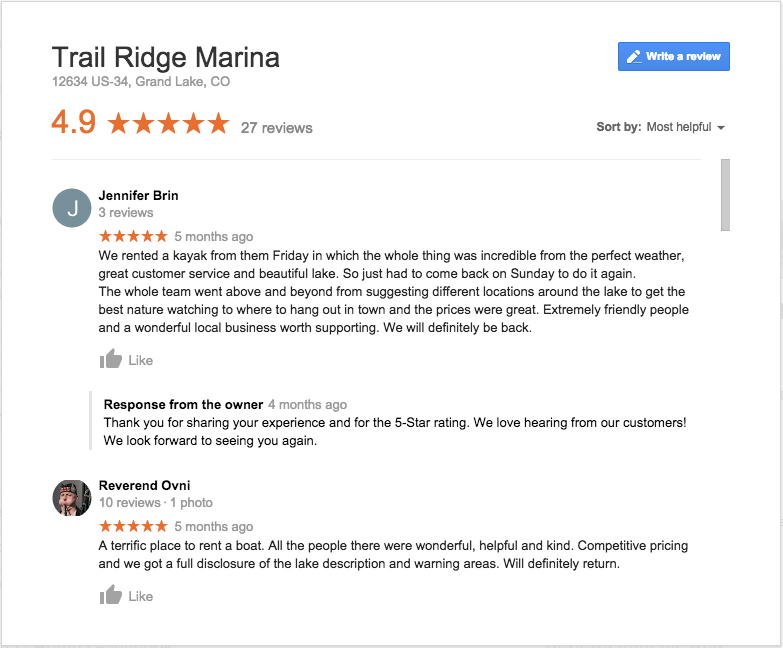 Trail Ridge Marina is the place for your Shadow Mountain Lake boat rentals, with access to Grand Lake. 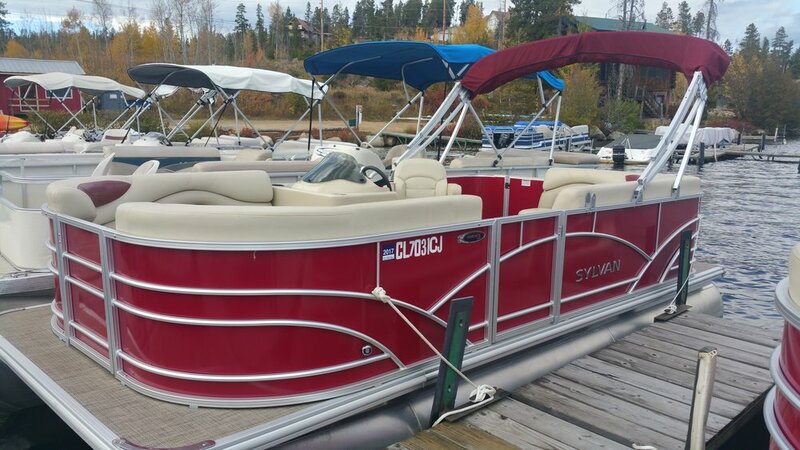 Explore the beauty of the 2 lakes in one of our fully equipped rental boats. We offer a variety of boats with hourly and daily rental rates. Check our fleet options if you want to bring your 4 legged friends! One day on the water is never enough! 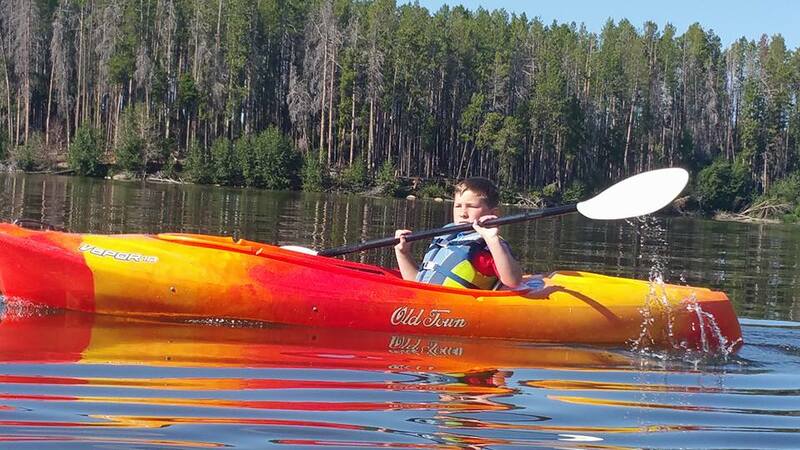 Dock your boat at Trail Ridge Marina and have a whole summer of fun! A boat slip is a great way to enjoy boating without the hassle of launching and hauling your boat each time you want to get out on the water. Docks are available the middle of May until the end of September, weather permitting. Slips for 2018 are all reserved at this time, however, contact our staff to be put on the waiting list. Prepare to make wonderful memories on Shadow Mountain and Grand Lake. Let's get you on the books! First time renting a boat? Check out our FAQs page. We're here to serve and would love to help you with your boating and dock reservations. Don't just take our word for it - check out our reviews!